Get a taste of the scuba life on this 40-min scuba try dive in Udupi. Over a half-day itinerary, this trip will introduce you to the adventure sport, and guide you towards undertaking your first open water dive. Before taking the plunge, you'll learn the basics of scuba diving such as handling the scuba equipment and navigating underwater. Later, you'll travel to the dive spots from Kapu Beach to undertake a 40-min open water dive. You'll explore the underwater beauty, undiscovered by many, as you swim alongside hundreds of tiny fishes on the sea floor. Ideal for people who want a proper way to test the waters of scuba diving, this trip also serves as a trial run to explore further certification courses in diving. Udupi is a coastal town on the shores of the Arabian Sea, otherwise famous for south Indian cuisine, but an up and coming destination for scuba divers as well. Your dive centre is located just a few minutes away from the Kapu Beach. However, you'll take a boat ride to travel to the dive spot for your open water dive. Rich in marine diversity, your dive spot is densely populated by schools of brightly, coloured reef fish, with hundreds of them swimming in and out of corals and boulders on the sea floor. 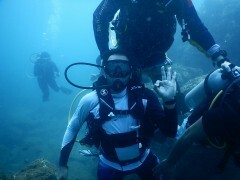 • Get introduced to scuba diving on this 40-min scuba try dive in Udupi. • Learn the basic skills and techniques required for scuba diving. 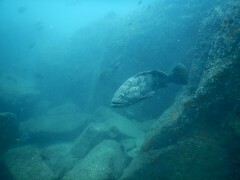 • Undertake an 40-min open water dive in the inviting waters near Udupi. Travellers are required to sign a liability and indemnity form before the scuba try dive in Udupi. Travellers are required to adhere to instructions of the dive instructor during this scuba try dive in Udupi. For cancellations made more than 3 days before departure of the scuba try dive in Udupi: 75% refund. For cancellations made 3-2 days before departure of the scuba try dive in Udupi: 50% refund. For cancellations made less than 2 days before departure of the scuba try dive in Udupi: No refund. Travellers are requested to be punctual and report to the dive centre in Udupi by 07:00 hrs. The tour operator reserves the right to cancel or alter the itinerary of the scuba try dive in Udupi to ensure maximum safety for travellers as well as staff. There is no pick-up for this scuba try dive in Udupi. There is no drop-off for this scuba try dive in Udupi. 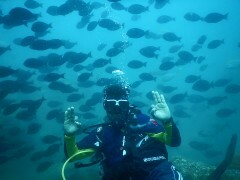 Scuba try dive in Udupi! Report to the dive centre by 07:00 hrs. You will meet your instructor who will brief you regarding the dive. You'll travel from the Kapu beach, located just a few minutes away from the dive centre, to the dive spot in the Arabian Sea. Here, you'll don the scuba suit and jump into the waters. Before going underwater, you'll do a quick training session with your dive instructor to know the essentials of scuba diving. After the dive, return back to mainland. Your trip ends here.